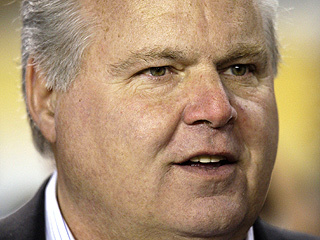 As a public figure, Wiehl said, Limbaugh would have to prove actual malice and damages — meaning he’d have to show that the media organizations knowingly and maliciously published that information without regard for the truth, and that he suffered because of it. We know from Gertz and Sullivan that actual malice is knowledge of falsity (got that right) or reckless disregard for the truth. Maliciousness has nothing to do with it, though it’s often a motivation. We also know that making up quotes also can be evidence of actual malice. It’s an interesting story, though, and the overall question of whether Rush could sue is a good one.